Made to give you voluptuous waves with a lasting finish, the Titanium Expression 38mm Curling Tong by BaByliss Pro boast classic style and quality design. 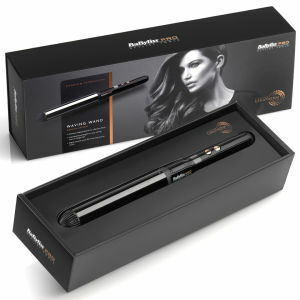 Heating up to 210°C with 11 temperature settings for ultimate control, this curling tong is a must have hair styling tool. The 11 digital temperature settings give you ultimate control and boasts a range up to 210°C with a 15 second heat up. 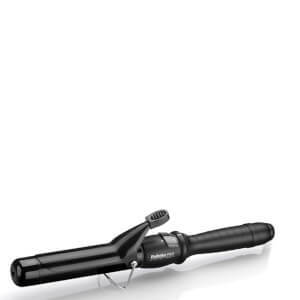 The 38mm barrel gives loose waves, whilst the 2.7 swivel cord boasts salon length. Complete with a heat mat with storage compartment. K.D. This works well and is hot enough for my hair even on the lowest setting. 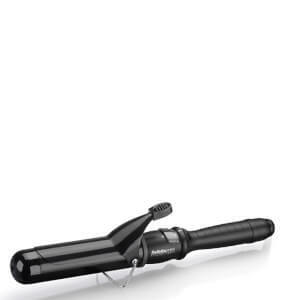 This curling iron is the best, it curls fast, it glides so easily so you can you pull it down when you want to curl your hair from the bottom without pulling out your hair out and it’s very lightweight. It’s very fast to curl your hair with this and the curls stays on for few days. I’m glad I bought this one. I’m thinking to buy the 32mm size as well. I'm always attracted to those vintage big curls. I bought this product last year in March, and I'm still using it. You can make a silky and slightly inward curled look with it on workdays, and you could also get a fabulous vintage big curls look effortlessly with it. Plus it does no harm to my hair, I could keep my hair healthy and strong while ironing my hair every day. very fast delivery and great product. Will definitely recommend to friends. Ordered a set of late tongs for my daughter as part of her Christmas present, my order arrived on time and my daughter loves them. Brilliant service, I would strongly recommend this company.